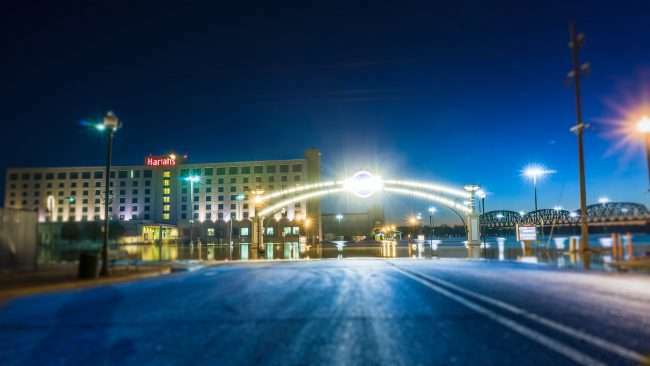 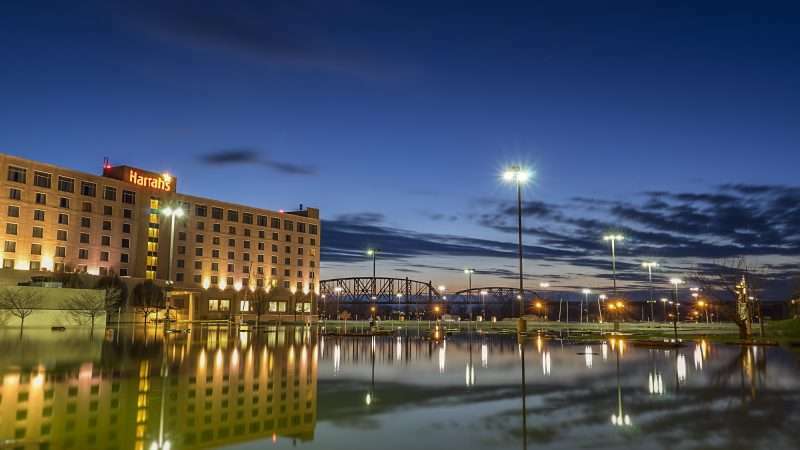 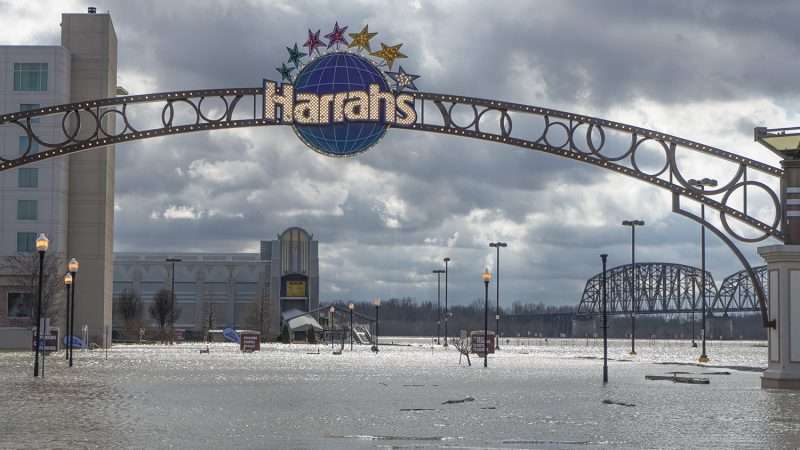 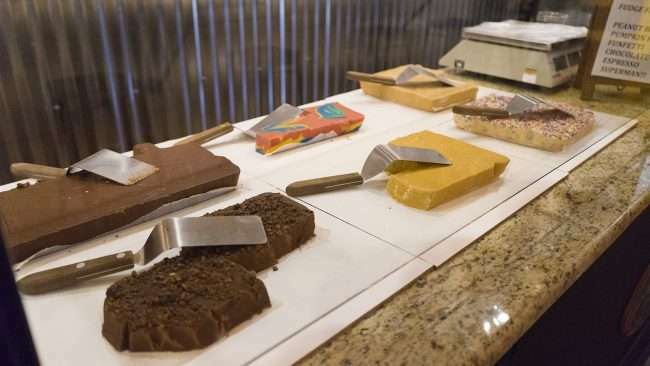 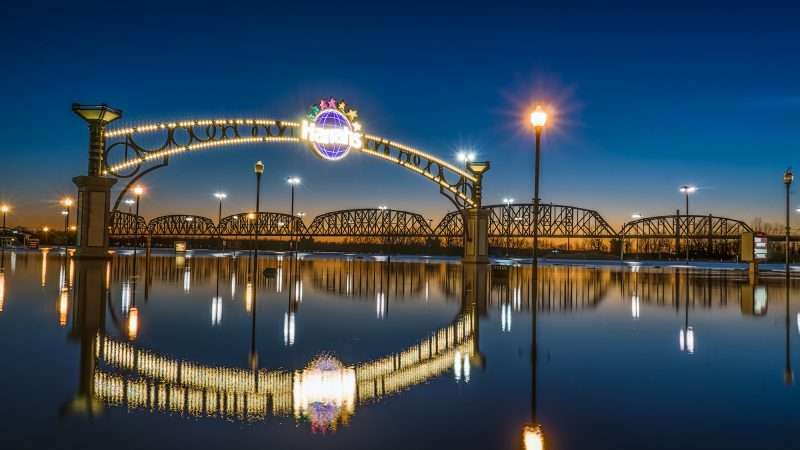 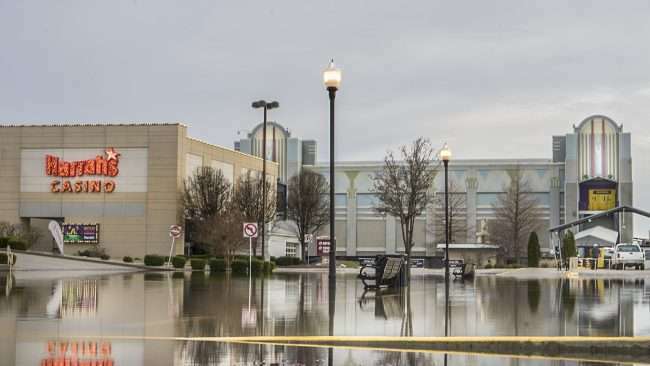 METROPOLIS, IL – Harrah’s Hotel and Casino reopen after the floodwaters receded on March 15th, 2018. “Harrah’s Metropolis Casino and Hotel officially opening at 11AM on Thursday, March 15! 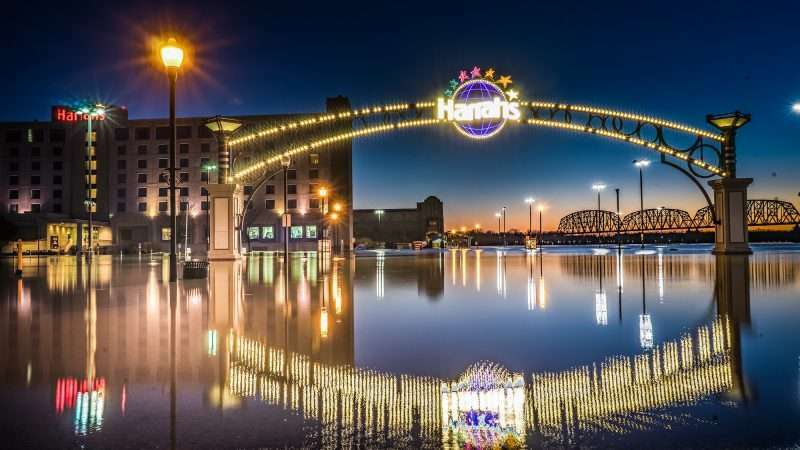 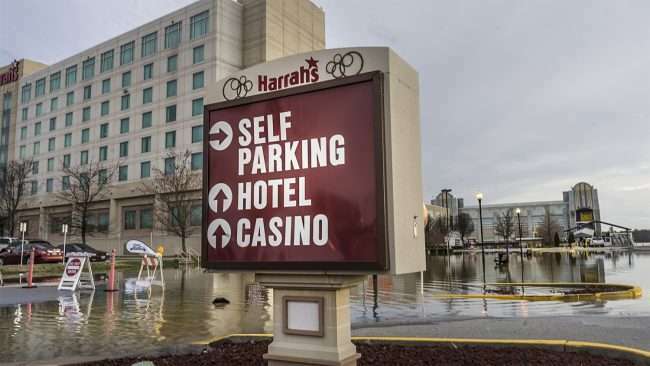 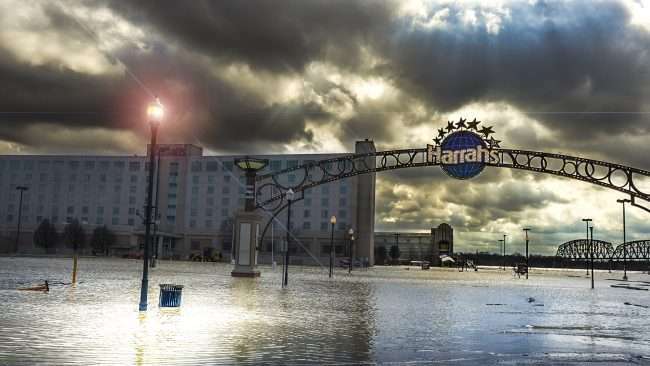 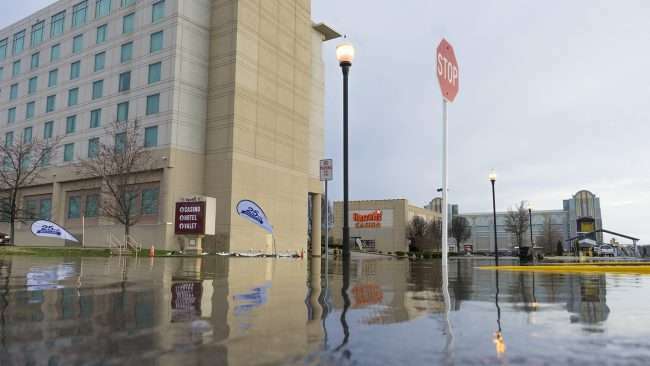 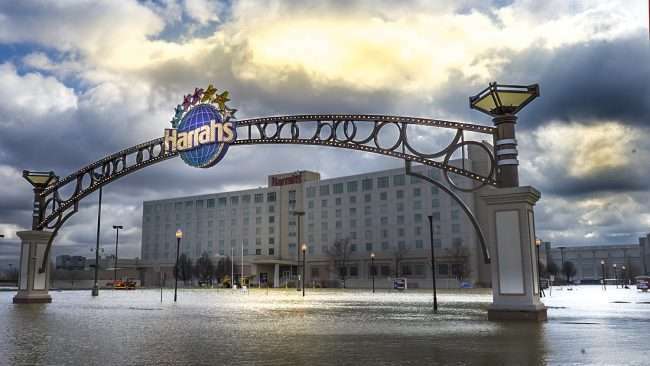 Due to flooding, Harrah’s Metropolis Hotel and Casino had to close on February 25, 2018 at 6:00pm until further notice. 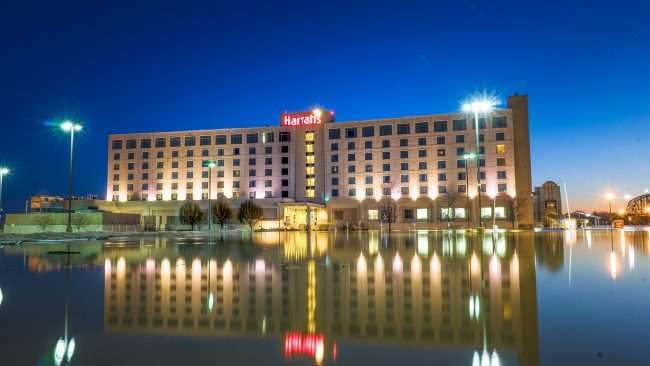 People that were scheduled to stay at the hotel that night received a full refund. 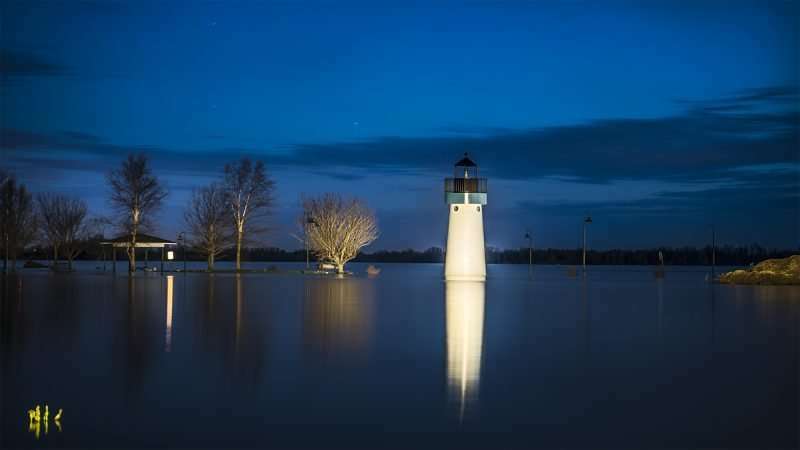 The National Weather Service had the water levels at 49.6 feet on March 12, 2018. 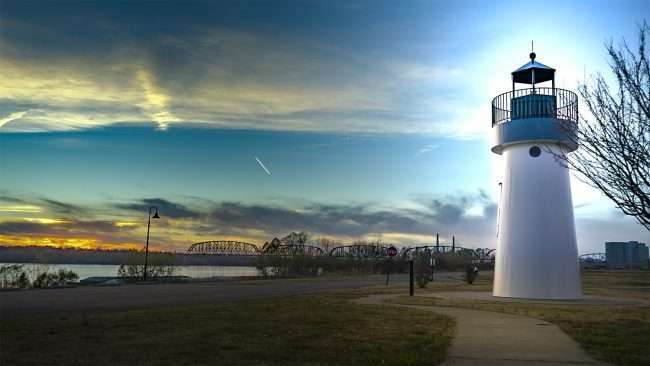 METROPOLIS, IL – The Hope Light is a 30 foot tall lighthouse located along the Ohio River in Dorothy Miller Park in Metropolis, IL. 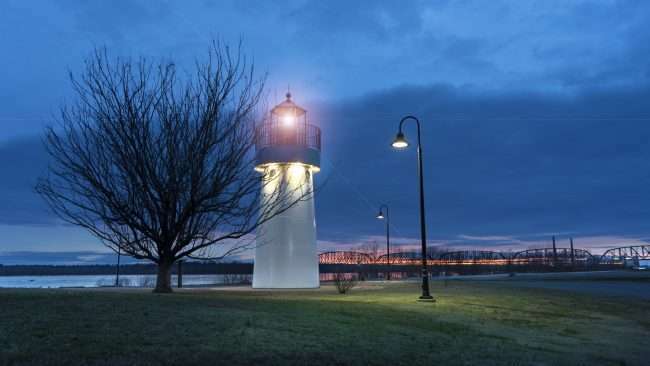 This lighthouse was created as a ‘Beacon of Hope’ for cancer patients and cancer survivors. 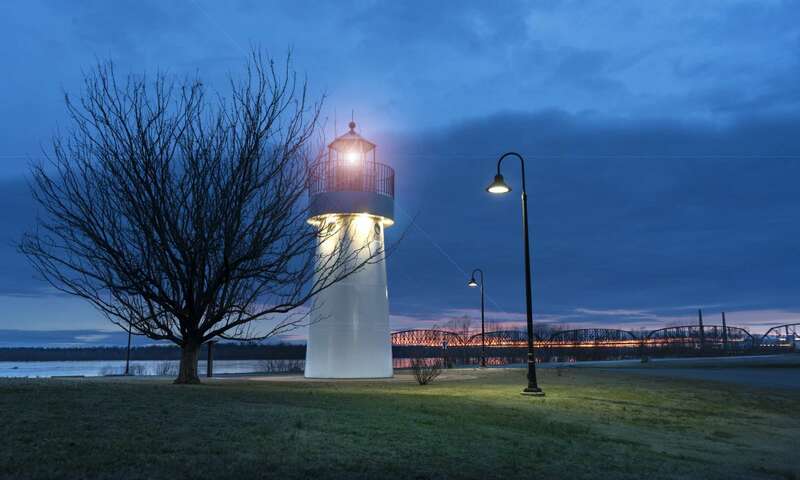 The light represents cancer prevention and early detection as well. The City of Metropolis donated a section of land in Dorothy Miller Park for the Hope Light project that was completed on June 4, 2014. 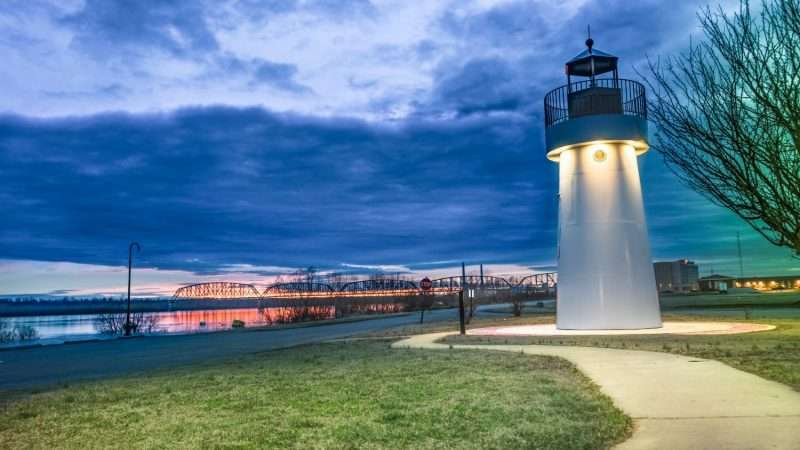 Eggemeyer Associates Architects of Carbondale, IL designed the Lighthouse. 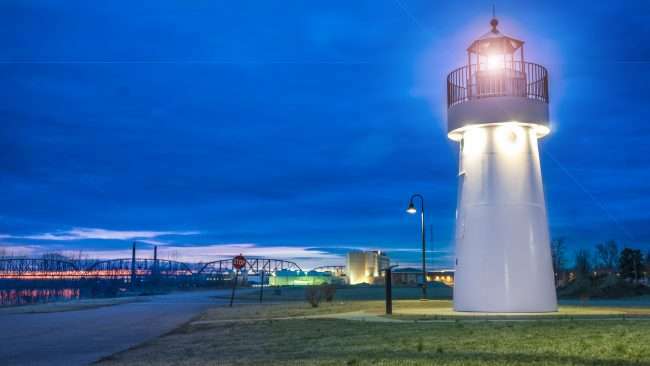 Parker Custom Machine Shop in Metropolis built the Lighthouse. 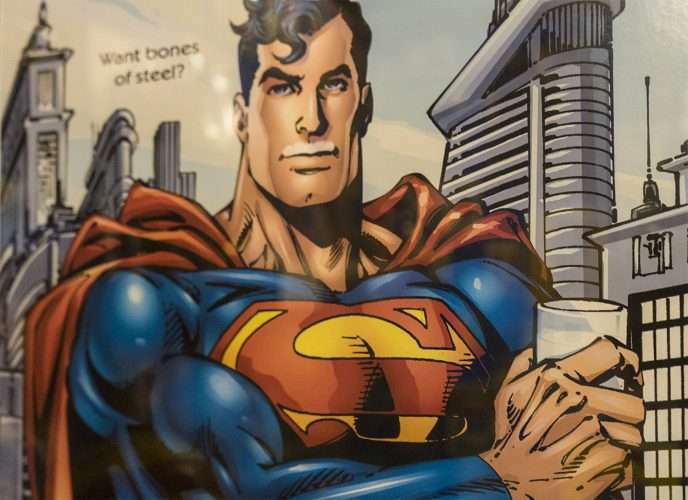 Lefarge of Metropolis donated the cement. Kotter Ready Mix of Metropolis donated the concrete. 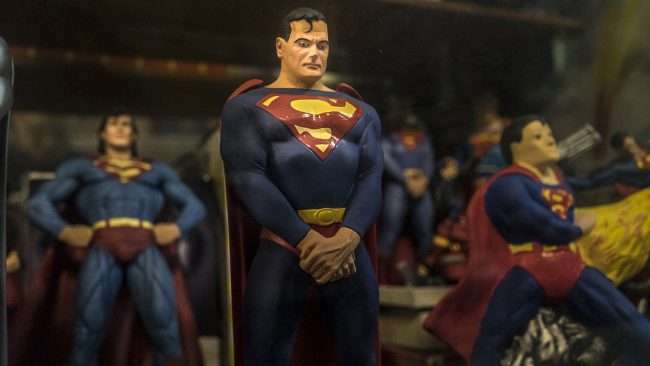 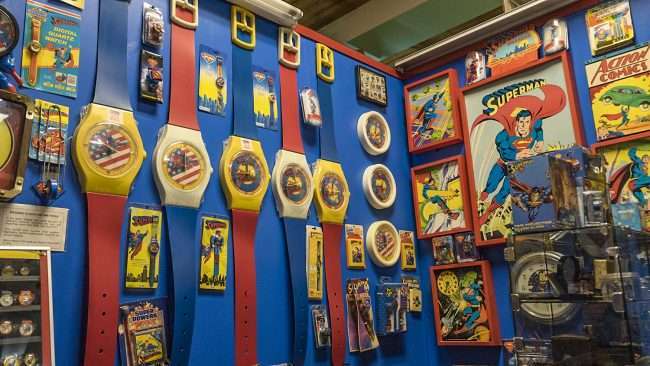 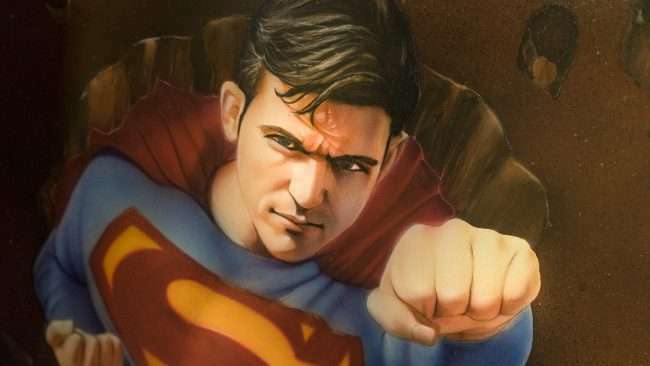 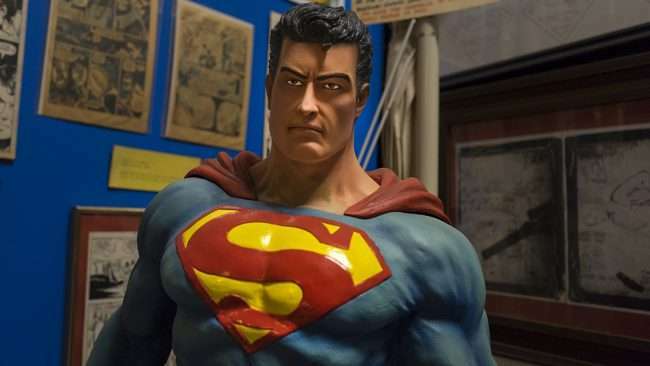 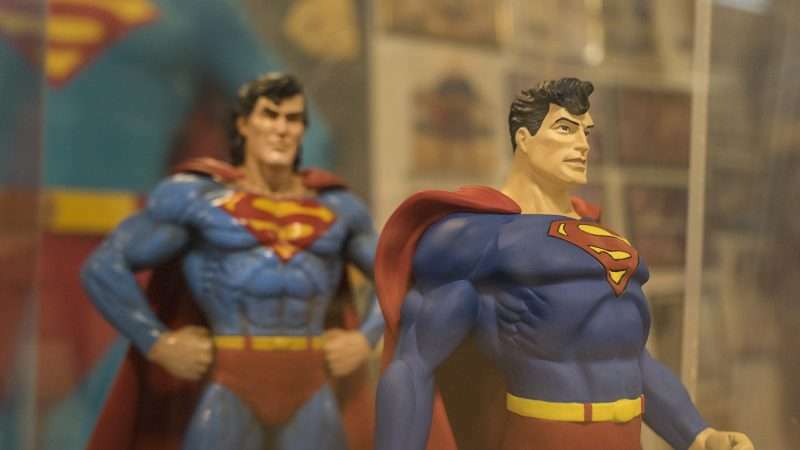 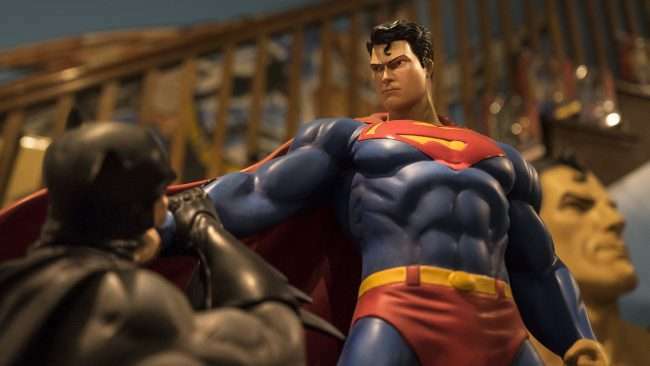 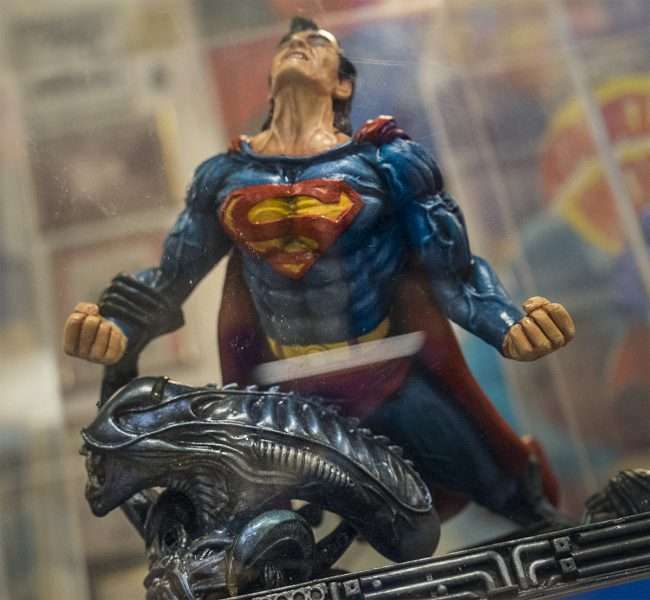 METROPOLIS, IL – The Super Museum has one of the largest collections of Superman memorabilia in the world located at 517 Market Street in historic downtown Metropolis, IL. Please support this locally owned business by stopping in the next time you’re in town. 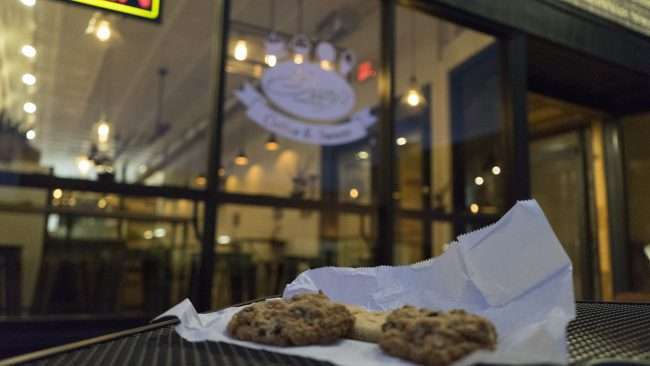 METROPOLIS, IL – I went on a cookie run to Sissy’s Sweet Shoppe yesterday evening on Historic Market Street in downtown Metropolis, IL. I purchased some Sugar and Raisin Cookies that were baked inhouse. 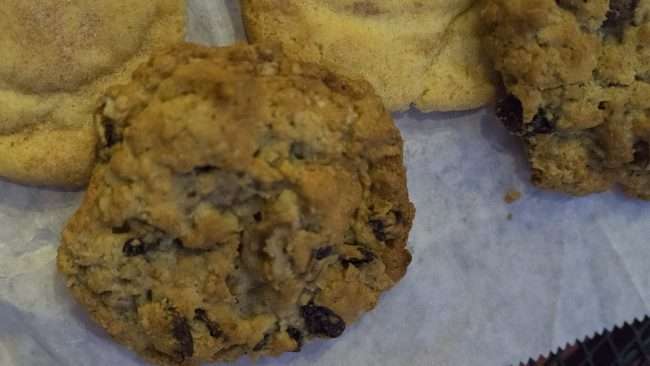 They were still soft and mouthwatering delicious. 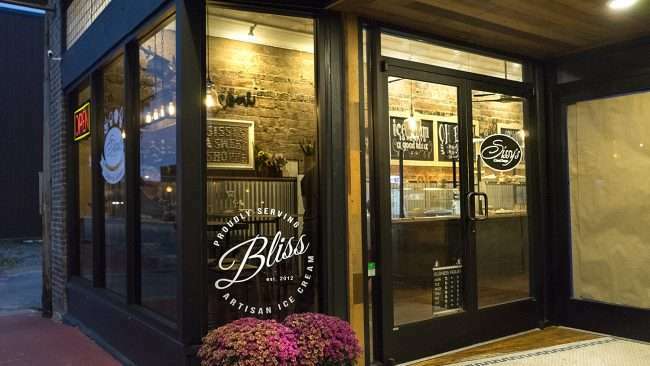 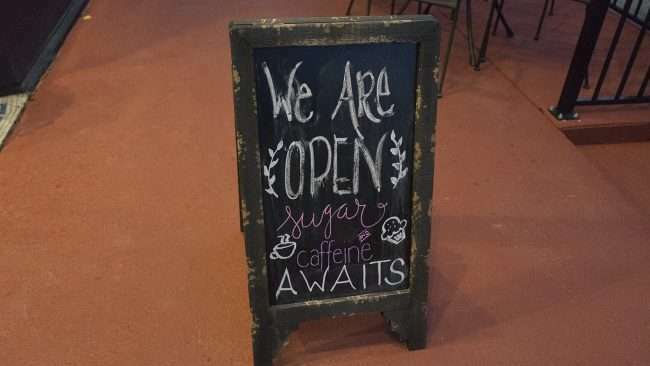 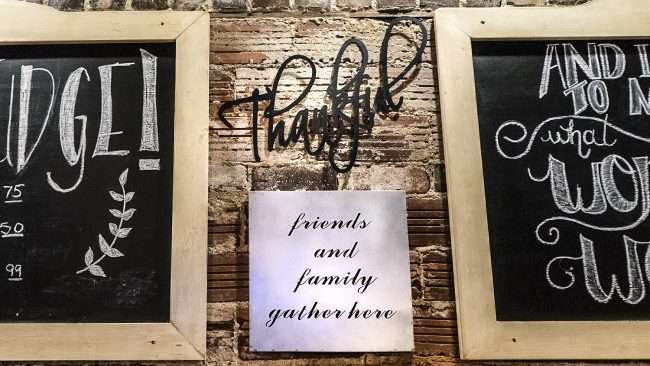 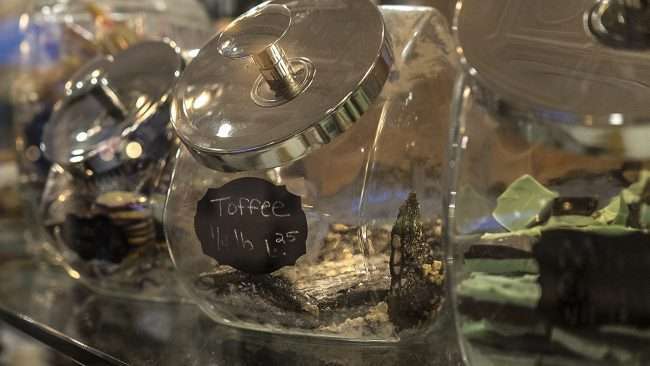 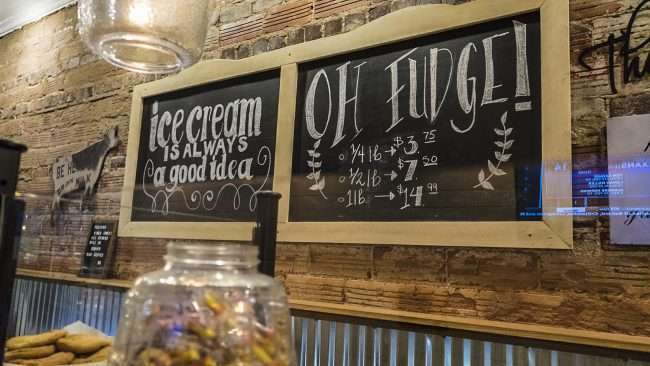 Sissy’s is the new bakery and coffee shop that resides in an upscale 2-story building that’s been completely renovated by the owners. The inside of Sissy’s was built with either reclaimed or original materials. 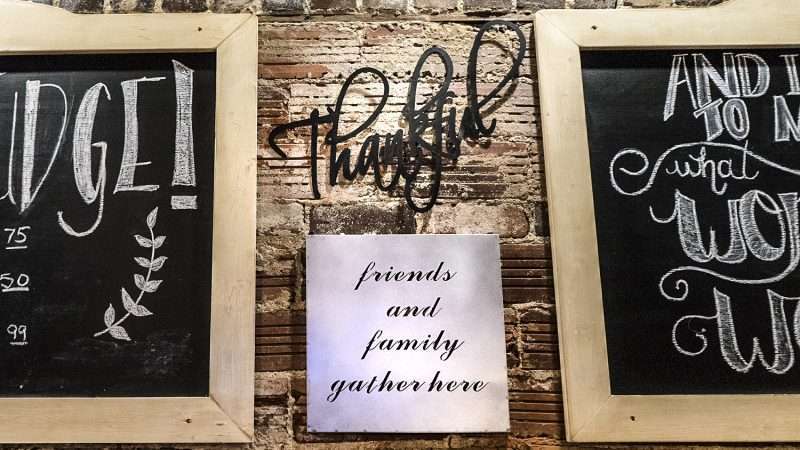 The exposed brick and original wooden floors gives this new sweetery a rustic theme with a modern twist. In short, the place, people and cookies were awesome making last nights cookie run a great success. 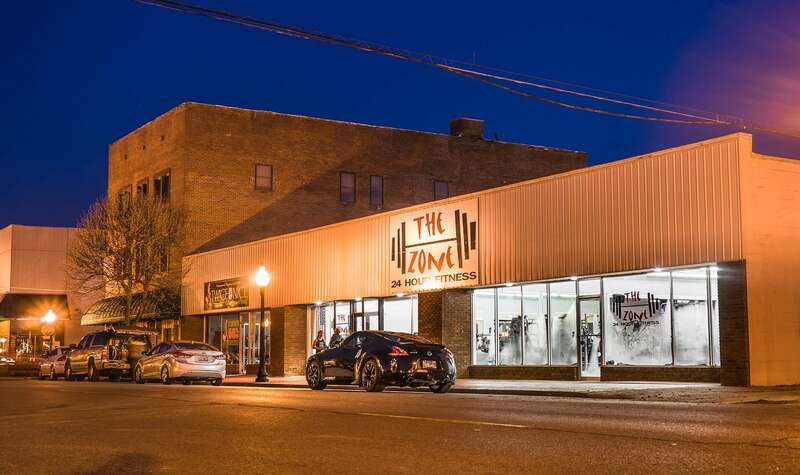 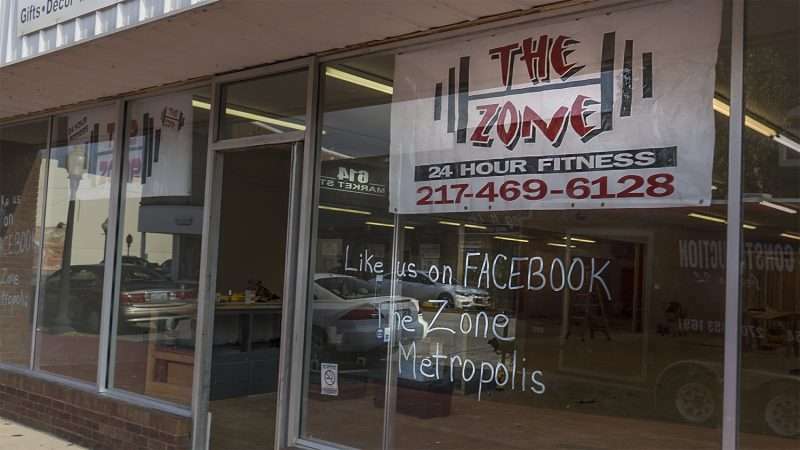 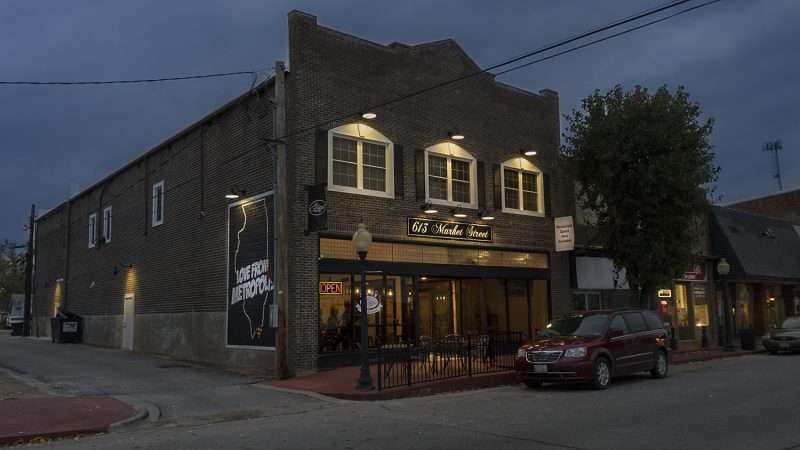 METROPOLIS, IL – The Zone 24 Hour Fitness gym is now open across the street from Sissy’s Sweet Shoppe at 616 Market Street in historic downtown Metropolis, IL. 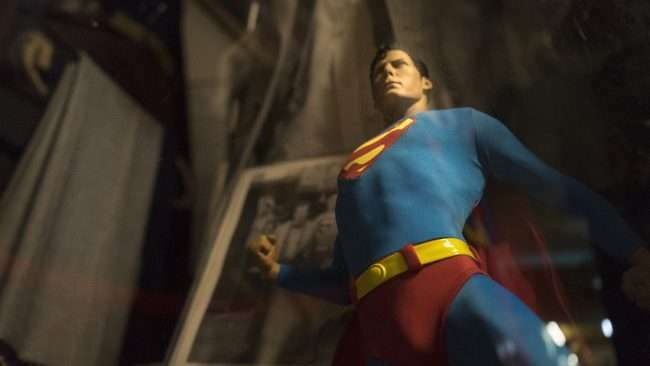 This new addition to Metropolis is simply wonderful. 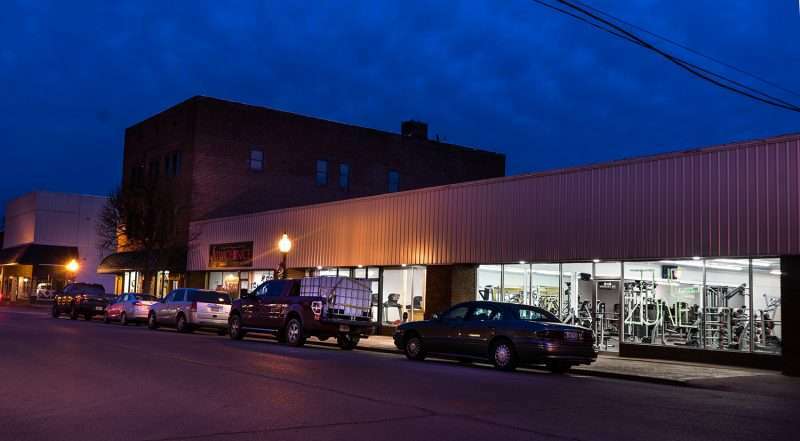 During the evening hours there are now cars parked on both sides of Market Street. 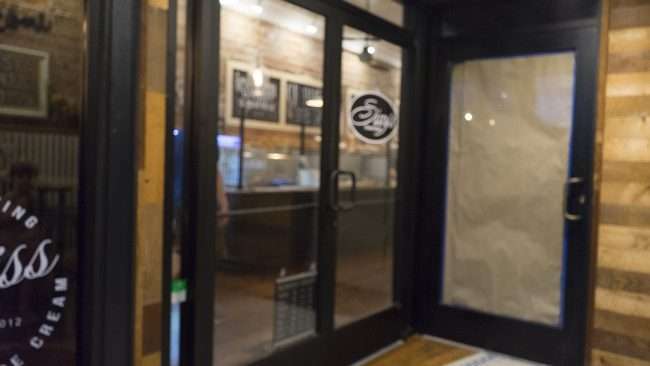 Between Sissy’s and the The Zone, Market Street is now showing a bit of nightlife.